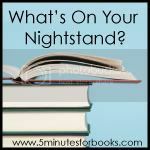 5 Minutes for Books hosts a monthly meme called "What's on Your Nightstand?" so here's what is currently next to my bed, after the changeover from last week. This week Finding Favor With the King is finally getting the attention it deserves. My friend and I are going to be reading this book together. I am FULLY enjoying the devotional that goes along with it and would highly recommend it (Daily Inspiration for Finding Favor with the King). The devotional breaks things up into manageable pieces and it's enough to give me something to think about over the course of my day. 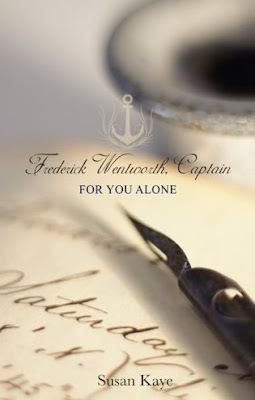 I finished up For You Alone by Susan Kaye, a book that is told from the point of view of Captain Frederick Wentworth, Anne Elliot's love in Persuasion (Jane Austen). I really enjoyed Susan Kaye's first book in this series and waited for this one to be released. I wasn't as crazy about it as I was the first (she sometimes switches and tells the story from Anne's perspective), but I have this love for Austen's characters and thinking that I am getting a little more of the story is something that I really enjoy! I am also still working through The Mentoring Mom and really enjoying what I have read so far. :) And I'm waiting on the library to call me with a few books that I would really like to have sitting next to me...or perhaps I should just focus on the other stuff...sigh. It's quick to watch and just makes me laugh every time I see it. Christmas dinner at our house is always ham. And by always I mean that there isn't a question. There will be no changing. No deviation. Just ham. Generally that means there are leftovers. And this year some of those leftovers made it into one of the tastiest breakfast casseroles I have ever had the pleasure of eating. 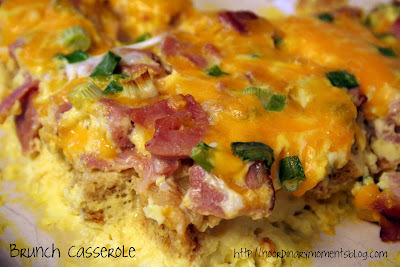 And I've found a recipe that will forever be the "Morning-After-Christmas Breakfast Casserole". 1. Spread bread crumbs evenly over bottom of a 9x13 baking dish. 2. Cut ham into strips or cubes. Cover bread cubes with ham. 3. In a large bowl, beat eggs, milk, and sour cream until smooth. Stir in cheese and onions. 4. Pour mixture over ham. 5. Bake uncovered at 325 for 45 minutes (or until a knife inserted in the center comes out clean). Let stand 5 minutes before serving. And since Christmas is...well, a long time away, this may have to make a special appearance again on someone's birthday...or holiday...it's just too good to only have once a year! Awhile back I mentioned the site Jelly Telly, a great site for kids offering video and much more . I received an email from them today with some exciting news!! The site is now open to everyone - for FREE!! They've also added some new games and character pages that tell more about all the different characters and shows that they offer. And each weekend they offer a full-length movie for the kids! Our girls have L-O-V-E-D the site, so it comes highly recommended by us. Even I have had fun sitting here at night watching some of the video! The humor just cracks me up...what can I say? 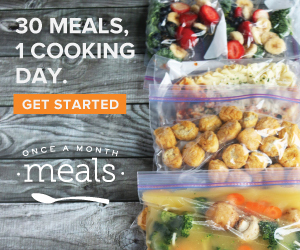 Just in case you happen to love Weight Watchers foods, you might want to know about a sweet little rewards program called IncrEdible Rewards that they have going on until the end of March. For every Weight Watchers food product you buy, you can earn credits towards some great rewards including books, beauty products, DVDs, cooking accessories, and more. You simply cut the UPC's from the participating products and mail them in to get credits. Different items are worth various point amounts (the complete list is here), but they do have some amazing prizes (including ipods, kids toys, cameras and accessories, etc...). If you are going to be eating their brand of food you might as well take FULL advantage of the benefits! Just know that I have been cutting UPC symbols and can't wait to get the rewards!! Some of my points have been credited to my account, I've picked out what I want, and now I'm just waiting to get those items to our house! On our way home from homegroup (Bible study) last night, Zachary was asking questions about what I did during the study, while the kids were all upstairs playing. Did I sleep? What did I do? McKenna yelled out from the back seat, "They were studying their Bibles in PEACE!" We spent some time with a few other families watching the inauguration last Tuesday and after the few hours and lunch we shared we headed home. Zachary was just talking to himself in his carseat and said, "I had a lot of fun today...(brief thoughtful pause)." "It was a lot of fun eating all that food." Thanks to all of you for entering and congratulations to Ambra! She was the winner of the Nana Star book Giveaway. Her little boy's Nana will be ever so happy! I have put Finding Favor With the King on hold for a bit, because a friend and I have decided we need a little accountability and we're going to read through the book together and then have a time to sit and talk about what we've read that week. Finding Favor really has so much in it to glean and I don't want to miss out on what is in the book. The devotional is wonderful and gives little bits and bites of the book itself, but in much more manageable (and easily processed) pieces. 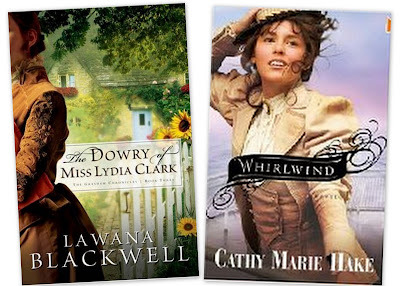 I did finish up The Dowry of Miss Lydia Clark by Lawana Blackwell and also Whirlwind by Cathy Marie Hake. It was only after I was more than halfway through the book Whirlwind that I realized that some of the characters seemed familiar. I've read several of Hake's books before (Fancy Pants and Forevermore) and it took me til now to realize that the characters all tie in together. Not that the name of the small Texas town should have given it away or anything - I'm quick like that. This week I should be getting a few books in the mail from paperbackswap.com and I'm anxious to see those. They are fiction though...so we'll see how that goes! Have you read any of these books? Just wondering how you liked them! Kaleb is apparently grasping the concept of the whole potty issue. He's started pulling a disappearing act whenever he needs a little "private time". I had been searching for him around the house the other day and finally saw two little hands and a snack bowl under the girls bed. I said his name and asked him what he was doing. He bobbed his little face down where I could see it and said, "Nuffin!" I asked him again and this time he bobbed his face down again, gave me a smile and said, "POOPIN'!" Smart little boy. Stinkin' up his sister's room! Zachary has a few words still that aren't quite right, but I just don't have the heart to correct him, especially since I know that one day soon he'll figure them out and those cute words will be gone. He came up to me the other day, handed me a spray bottle and a comb and asked me, "Mom. Could you pork my hair?" He wants me to spike it (poke is the only word I can think of that he is meaning to say). The girls and I were studying about Russia and talking about the period of time that people were told they couldn't believe in God. I asked the girls what they would do if they couldn't worship God and Laurianna said she would go to the mountains and hide so she could sing and praise Jesus. McKenna said, "I'd kill the king." My shock didn't seem to phase her. When I said that a) killing people is not a good option and that b) the police could throw you in jail anyway she thought for a minute and said, "Oh. I guess I shouldn't do that." Apparently we have a few things to talk about with little Miss McKenna. That talk about worshipping God led to a discussion about atheism and that some people don't believe in God. Laurianna wanted to know what atheists believe in if they don't believe in God. When I answered "nothing" she got this incredulous look on her face. She then asked, "You mean they don't believe that cows poop?" And apparently I need to further explain "nothing." I was blessed to receive some books from Nana Star along with a sweet little Moonman Lovey to review. I am so absolutely impressed with the products that I received and the company itself. 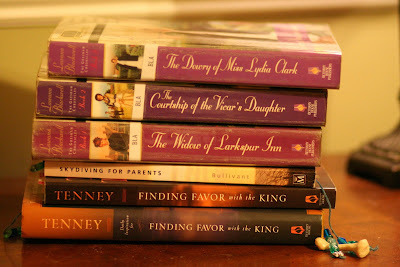 I'll let you know how to enter to win one of the books at the end of this post. The Nana Star stories were birthed years ago when the author's grandmother began telling stories to her grandson about the Moonman. 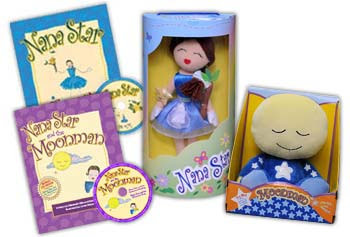 She created special cards and illustrated character for him, becoming his "Nana Star". The family is now involved in sharing the story of Nana Star through picture books and a toy collection. Their books have won numerous awards and also donate a portion of their proceeds to the Nana Star Foundation, dedicated to helping make life easier for children attending under-resourced, inner-city schools and for terminally ill children. 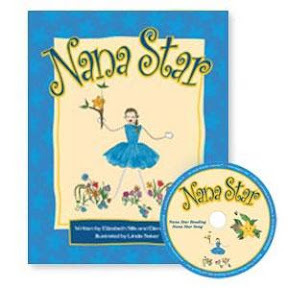 Nana Star ($15.95) is a wonderfully illustrated book by Elizabeth Sills and Elena Patrice that tells the story of a lost baby star who misses his Nana. A little girl finds him, becomes his Nana Star, and sets out to bring him back to his home in the heavens. The book also includes a bonus cd that has a reading of Nana Star and the Nana Star song. The story is absolutely sweet and the website has a video of the Nana Star song in sign language on their website. And the plush Moonman Lovey ($19.95) - just too cute for words. He glows when he is cuddled and plays a little "luvaby" when his tummy is hugged - something my kids have had so much fun with when he's been within their reach. He would be such a sweet nighttime companion for your little one! We have a special little someone turning one who will find him in her pile of presents next week!! There is also a book written about the Moonman, Nana Star and the Moonman ($15.95), that includes a song and book reading on cd. In this story, Nana Star tries to return the baby star but she becomes afraid as the dark settles in. When she peeps up into the sky, she realizes that it isn't so dark after all with the bright light of the Moonman smiling down on her. The book itself has a mistake in it (on purpose) and if you find the mistake, you can write the company and get a surprise from them!! Overall, the book and the Lovey are so sweet - and this is a site you definitely want to take a look at. And....I have a giveaway for you today!! If you would like to win a copy of the book Nana Star for your little ones, leave a comment below by Friday, January 23rd 8pm letting me know. 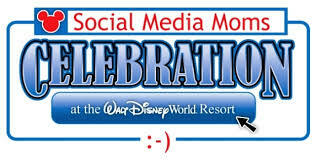 I will draw a winner and announce next Monday on my blog. Be sure that there is a way to contact you - otherwise, I will draw another name! If you subscribe via feedburner, I changed the RSS feed and you can get the new one by clicking on the button in my sidebar. Progress is being made in my two non-fiction books: Finding Favor with the King as well as the accompanying devotional. This coming week I am planning to focus a little more on the book itself. I didn't start the last book in the Gresham Chronicles, The Diary of Miss Lydia Clark, so that book will get moved over to this week. 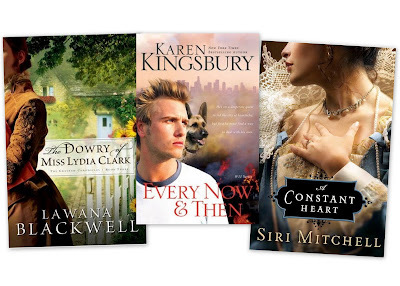 I did finish Every Now and Then by Karen Kingsbury and also A Constant Heart by Siri Mitchell. A Constant Heart was interesting - life during the times of Queen Elizabeth and what it was like living as a courtier in her courts. The story was told from the perspectives of a husband and wife who (gasp) were actually in love with each other and the danger that it could be in that time. At first it was a little strange having the story switch back and forth from one person's perspective to the other, but it definitely added a different aspect to the story. Are there any books that you are reading that I should think about for my pile? Let me know what you are reading that you would recommend! My dad sent me this story via FoxNews today. At least I only have my cell phone in my pocket. CENTERVILLE, Utah — The man escaped with a few cuts to his arm, but the toilet made out much worse. Police say a man's gun fell out of its holster while he pulled up his pants after using the bathroom at a Carl's Jr. restaurant Tuesday. The gun fired when it hit the floor and shattered the commode. A few shards of porcelain cut the man's arm, and a woman in an adjacent restroom who was frightened by the noise reported she was having chest pain. Both people were checked at the scene and released. Police say they confiscated the 26-year-old man's firearm while they review the incident. The man had a concealed weapons permit. No charges are being filed. While I realize that scamming is the name of your game, I just thought I'd try to help you out a little bit in the emails that you send out, trying to hook me into giving you every piece of financial information that is related to me. Run a spell check on your emails. I mean really. If you're going to scam, pretend that punctuation, capitalization and all grammar rules apply. Yahoo? Are you serious? Please consider that I might have just a wee bit more of intelligence and realize that the IRS would not have a yahoo domain for its' communications. If you are going to congratulate me on a stimulus refund, you might want to get my name right. Just saying it might help. Emailing me the same email four times in a day - a little fishy if you ask me. Somehow I don't think the government is that willing to part with its' money. And using lots of words and making the email more wordy? Not really helping either. Because "Without wasting much time, will want you to contact them immediately with the above email address so as to enable them attend to your case accordingly without any further delay as time is already running out" might be a little more impressive if you referred back to point #1.
p.s. Being sure to warn me that there are scams occurring is a nice touch. Suspicious, but nice. Thanks for caring enough to warn me. 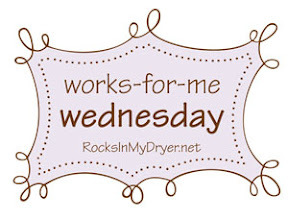 I am SO EXCITED because next Monday I am going to be meeting up with Mary from Not Before 7 to just hang out and talk and, well, MEET her officially other than in the bloggy world!! For Tiny Talk this week, I have a little somethin' somethin' to share from the oldest three in our house. We've been studying about Russia this last week with the girls and I was trying to get them to notice that Russia is unique because the country is on two different continents. We were sitting on the couch and I was asking them what they noticed and they were pointing out silly things on the map. Not noticing what I was hoping they would notice. Finally I asked, "Do you not see ANYTHING special about Russia? Anything at all?" Laurianna looked for a minute at the map and said, "Well, the 'R' is in Europe and the 'USSIA' is in Asia." McKenna was reading from the Beginner's Bible (Matthew 13:47-49) to me and I was half listening until she got to a part in the New Testament where it talked about separating the godly from the ungodly. And had a few minor alterations because of her reading. "But the angels will come and separate the goodly (godly) people from the ugly (ungodly) people. The goodly people will live in heaven with me forever." And apparently the ugly ones don't have a chance. We need to work on some phonics, eh? While he was waiting for breakfast on Saturday morning, Zachary looked up at me and said in an awe-struck voice (with his hands on his stomach), "Mom! I think that someone is boxing in my stomach! I think someone is playing the Wii and boxing in there! It's going (insert boxing noises here)." I about lost in on that one! Be sure to head over and read some more Tiny Talk Tuesday!! I have to truthfully admit that I don't even learn from my own mistakes and take my own "advice", as it were. And one would think that after experiencing something traumatic such as having your cell phone fall into a toilet and having to stick your hand into the mysterious, germ-infested depths of the tidy-bowl might possibly teach a person to KEEP IT IN HER PURSE!! I am happy to report that I now can boast of several different ways to successfully dry out a cell phone. With it still being usable. As a bonus, my #7 key is now working better than it did after the first dropping. And my cell phone is now in my purse at all times. Disinfecting is optional but highly, highly, highly recommended. Repeatedly. I actually finished a FICTION book. A proud moment for me. Jane Bullivan't book Skydiving for Parents has now officially moved off my nightstand. I did glean some great things from this book, although since she is British it was a little difficult for me in some places (took me forever to wrap my mind around the word "bonnet" until I figured out she was talking about the hood of a car). What can I say? I was able to read a few more chapters in two of my other more thought-intense (non-fiction)books: Finding Favor with the King as well as the accompanying devotional. This week I'm adding some more fiction to my pile, and finishing up the third book in the Greshem Chronicles by Lawana Blackwell. It is always better to follow through with something you start - when you start it. Being sidetracked - not so good. Take for instance, oh...let's just say frozen meat. If you run downstairs to the freezer to pull out a pound of meat - TAKE IT IMMEDIATELY TO THE KITCHEN. Do not stop in your bedroom on the way up and be sidetracked by the "inbox" beep on the laptop you hid from yourself, so that you would spend less time on the computer during the day. Never place the frozen meat on your bed. Never. Because 45 minutes later, you will sit and wonder what in the world you could have possibly done with a hunk of meat. Which isn't quite as frozen anymore (and fortunately was on something else so you don't need to conduct major cleaning to counteract your temporary loss of umm...focus? Especially since you were NOT sidetracked by reading a blog (or 4...ok, more). The kids were quietly playing together. Quietly playing together. Happily too, I might add. When I went to investigate to see what could be wrong going on, I walked into the girl's room and was met by this little sign. And opened the door to discover that we have apparently set up a thrift store in our house - with rock bottom prices I might add! 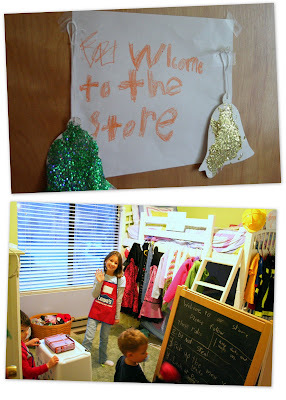 Laurianna had taken the time to cut out price tags and tape them onto each article of clothing and was eagerly awaiting customers. Which McKenna believed would really come, insisting that we needed to fully open the blinds in their room so the neighbors would see and come. Even though we live on a cul-de-sac. 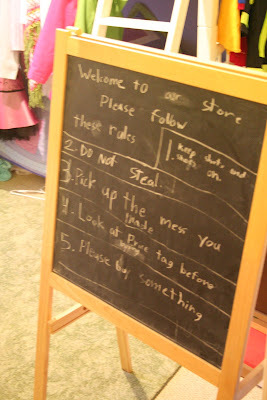 But if you do decide to stop by and pick up toys or clothing, be sure to mind the rules. 1. Keep shirts and shoes on. 3. Pick up the mess you made. 4. Look at price tag before buying. So as long as you are fully clothed, don't take anything without buying, clean up after yourself, and remember to look at the tags, you are more than welcome to shop from our closets and toy bins. We open early and we'll be waiting for you. The girls and I were cuddling up on the couch yesterday when I noticed they needed their ears cleaned out a little (I know, lovely thought). And there's a certain little someone in this house who's life motto is not: "Cleanliness is next to godliness." So when I went to clean her ears and there was very little to do I was rather impressed. And said so. To which the response was, "Sometimes I clean my ears out like this (demonstrates with her finger) and then I eat it." It's EARWAX, for Pete's sake! Who knew (or really wanted to) that it was spicy? I'll just take her word on it - thank.you.very.much. for some more Tiny Talk Tuesday. I procrastinated. There I said it. And this morning, I am paying the price of feeling yucky because I'm getting a cold and I stayed up too late planning out the next few weeks of school for us. Renewed and determined to not "skimp" and get by, but actually have fun filling up some extra time with the kids and using some of those things that have been lying dormant for awhile. Sadly, I just could do any more of Cranford by Elizabeth Gaskell. I don't know what was going on with my brain, but I dredged my way through half of it and finally decided to replace it with another book by Lawana Blackwell, The Maiden of Mayfair. I was able to read a few more chapters in two of my other more thought-intense (non-fiction)books: Finding Favor with the King and also Skydiving for Parents, so woo-hoo! :) I also finished In the Company of Cheerful Ladies by McCall Smith. If you haven't read any books in the No. 1 Ladies Detective Series, they are pretty simple/quick reads, but the humor in them just cracks me up every time. It's so basic and straightforward and literally makes me laugh and giggle out loud. And then my husband has to listen to me try to explain why it's all so funny...and by then - not so funny. This week I'm adding some more fiction to my pile, a series by Lawana Blackwell. She has a new series out that I would like to start and it spins off this one, so I need to read these first.